Las Vegas is known for many things—flashy shows, sleek hotels, the white noise of 200,000 slot machines spinning at the same time. But it’s October, so everyone is a little pumpkin crazy, including Sin City. Bars and restaurants on and off the strip have a plethora of ways to eat and drink the orange gourd right now—all of them much safer bets than anything you’ll find on the casino floor. Pumpkin puree, candied pepitas and marshmallows—it’s basically a sweet pumpkin pizza with the works. A cocktail made with actual pumpkin puree? Sign us up. The Commonwealth, a cocktail bar in downtown Vegas is using pumpkin along with rye, Amaretto, orange and the almost-obligatory pumpkin spice for their autumnal concoction. We love the trend of using real, fresh, actual pumpkin. And this creamy custard incorporates the genuine article—not just canned stuff. At another off-the-strip spot, downtown’s O Face Doughnuts just rolled out their seasonal pumpkin doughnut, which is filled with pumpkin cheesecake, topped with cranberry compote and a pumpkin seed brittle. You could conceivably cobble together a doughnut meal here as the shop also offers savory flavors like Caprese and Monte Cristo. Whatever you generally expect out of a pumpkin cheesecake, forget it. Maple cream and a pecan crust put it over the top. 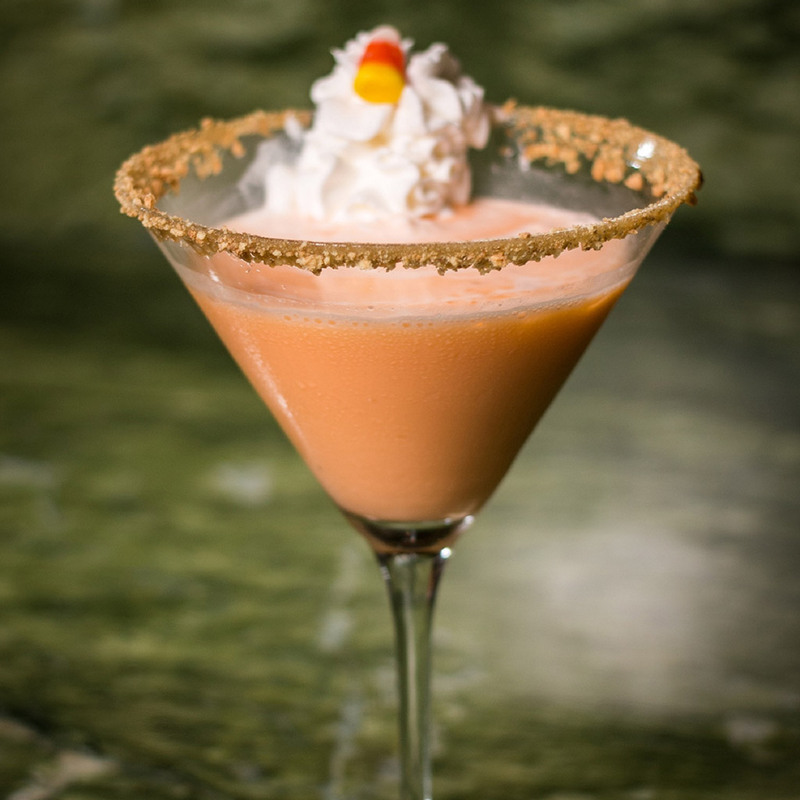 Sometimes you just want to drink your dessert and that’s exactly what the Pumpkin Pie Martini will let you do. Made with vodka, pumpkin spice liqueur and Rumchata (Silly name? Yes. But if you’re the sort of person who likes creamy after-dinner drinks, it's nicely spiced with a kick. ).